From what is unfolding on the Montego Bay waterfront and the revitalization of the Jamaica Railway Corporation’s rail leg between Montego Bay and Appleton Estate in St. Elizabeth, I get the distinct feeling that, as Jamaicans, we are about to witness a greater concentration of our national wealth placed in the hands of a few. That is cause for concern and should not be taken lightly by the majority of Jamaicans; it bodes, for us, more desperate economic struggles and troubles. Earlier this week, I was reading an article on American Oligarchs when it dawned on me that, we here in Jamaica could possibly already have one or more. The unashamedly and unconscionable sharing of Jamaican assets among a few elites suggests that Jamaica is well on its way to becoming an oligarchic society. Britannica describes an oligarchy as “government by the few, especially despotic power exercised by a small and privileged group for corrupt or selfish purposes”. Certain industry leaders by their actions and political clout have already indicated’ not too subtly, that they will be the beneficiaries of an oligarchic Jamaica. For there to be a successful imposition in Jamaica, those so inclined will most certainly need political cover. Well, the matrix for that to happen is in place given their political connections to the ruling JLP and the raw political power wielded by their surrogates. Some might not be able to see the connection of the rail spur from Montego Bay to Appleton as connected to nascent oligarchy but it is intrinsic in the grand design. Already, one of the principals in that project controls a sizeable portion of the island’s tourism room stock, owns a fleet of vehicles used in ground transportation to ferry guests from its resorts to and from the airport plus offer tours of scenic sites in Jamaica. With either partnership or ownership of the limited railway line, this company will have complete monopoly of the Jamaican tourism experience. They will be able to ferry cruise passengers from ships to railway depots then back to the cruise liners. In such a scenario, small tourism organs such as JUTA, JCAL and independent taxi operators in the tourism sector will be starved out. Make no mistake, this is a classic example of lateral Integration. In business, when someone refers to lateral integration, they are referring to a strategy in which a firm acquires similar firms to increase its market share and profits. Naysayers will claim that isn’t so in this instance but they would have forgotten previous trains dedicated to the tourism product as in the Appleton Express and its forerunner the Governor’s Coach which plied that same route in question. Clearly, if other hotels, small tourism entities; JUTA, JCAL and independent taxi operators are to be excluded from an expanded tourism offering, which the re-emergence of the train offers, this will be a not too subtle conspiracy in restraint of trade and commerce. As a prevention mechanism, there will have to be an urgent enactment of legislation akin to the American Sherman Antitrust Act which was used in 1982 to break up the monopolistic AT&T. After all, prosperity should not only be for the few. I have no beef with the return of the railway, heritage tourism and its potential to put more dollars in the coffers of this country. However, I am wary, my problem is that from the little I know, the ownership structure is hazy, who constitutes the consortium that tourism minister Ed Bartlett spoke of when he was quoted as saying, “the last discussion I had, before I went to my meetings in Spain last week, was with the team of entrepreneurs who are putting the dollars together.” Is the Jamaican government a partner in this euphemistic consortium? If it is, what percentages of stake will the Jamaican government own? Will this be another White House? Are other major hotels and small properties included in this venture? For there to be a consortium, there needs to be more than one party given that the word indicates grouping. Who constitutes this consortium? Neither the tourism ministry nor the Office of Economic Growth has indicated that there are others involved in this venture. To my knowledge there is only one identifiable face and entity associated with the venture. Minister Bartlett must now publicly and fulsomely disclose all involved in the railway revitalization exercise. It cannot be that with silence, the government will become aiders and abettors of industry monopoly. As an aside, the revitalization of the railway suggests that it would be used to ferry goods and locals between both points but in reality, this seems to be a rail system dedicated to certain tourism interests. 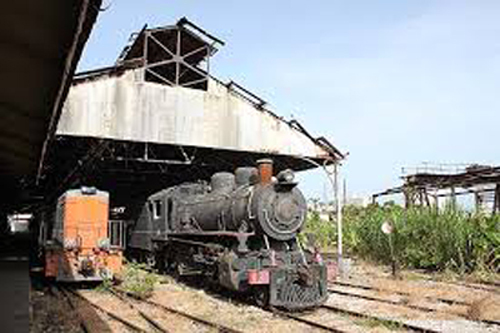 With the revitalization of the rail leg from Montego Bay to Appleton, there will be dislocation of families who captured and squatted on railway lands since 1988 when Hurricane Gilbert dealt Jamaica’s rail service a death blow. Following the signing of the MOU between the consortium led by CEO of Sandals Resort and ATL automotive, Adam Stewart and the Jamaica Railway Corporation (JRC), the Ministry of Transportation and Mining stated that the 55-kilometre segment of the JRC Railway Tracks, adjacent lands and buildings including civil infrastructure, such as, over and under bridges and tunnels are to be rehabilitated and developed into Jamaica’s first heritage tourism tour via the railroad. In that eventuality, 168 households from Bogue to New Ramble will be displaced. Already, bulldozers and sledge hammers are in place for the forced removal of approximately five hundred persons living and squatting illegally on railway lands. Attorney General and Member of Parliament, Marlene Malahoo-Forte M.P (W.C St. James) in whose constituency these persons reside cannot be allowed to sit idly by without a resettlement alternative while persons are removed forcibly. I need not remind the MP that five hundred votes can win or lose an election. I am hoping she is familiar with the World Bank’s assessment that people removed for development projects must be put in a position that will make their lives much better off than they were before the construction. If she isn’t, I will point her attention to the following, World Bank Discussion Papers: The Urban Environment and Population Relocation by Michael M. Cernea “When relocation is unavoidable, efforts should be made to minimize it and to ensure that those relocated are assisted to at last restore their former living standards and earning capacity, and if possible to improve them. Displaced persons should be (a) compensated for their losses at replacement costs, (b) given opportunities to share in project created benefits, and (c) assisted with the move and during the transition period at the relocation site. Similar policy principles regarding population displacement and relocation were adopted in December 1991 by the governments of all OECD countries for their international aid agencies (OECD 1991).